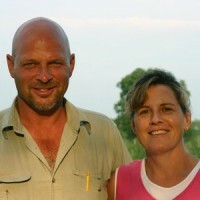 For the past 20 years, Dave and Dawn Hoekstra have cultivated a passion for exotic animals. Starting as a small hobby farm, Dave and Dawn raised white-tailed deer and elk before branching out into bigger game like buffalo. As their enthusiasm grew so did their collection, and the couple eventually realized their desire to share their love for these animals with the public.